It's 5 o'clock somewhere! The martini, James Bond's favorite aperitif, was served shaken not stirred. 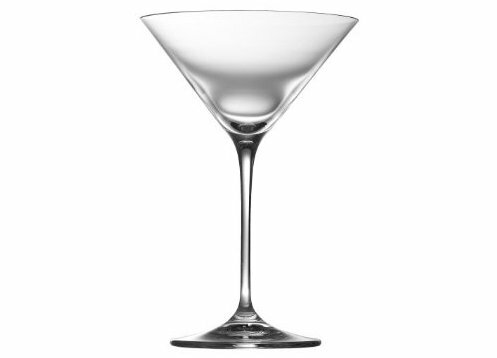 This Riedel Vinum XL Martini glass is the classic bar glass for all martinis and cocktails, timeless in its elegance and beauty, and the perfect right capacity. As always, Riedel delivers top-notch quality in gorgeous lead crystal, with classic style. Innovative 21st century glass making technology, developed by our expert technicians, ensures that the new Vinum XL glasses are remarkably durable. Vinum XL is manufactured exclusively in Riedel's own factories in Bavaria, Germany. Packed in a set of 2, these glasses stand 7-1/4 inches tall, with a full capacity of 9-1/2 ounces.